Human Rights Activist News Agency (HRANA) – Twelve individuals demonstrating their support of Hashem Khastar outside Ibn Sina Hospital in Mashhad were reportedly released a few hours after being taken into custody on Monday, November 5th, a close source said. 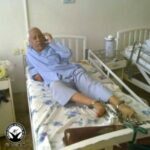 By arresting the demonstrators, intelligence agents were intercepting their protest of an increasingly curious hostage situation: Iranian authorities have kept Khastar cloistered in the hospital’s psychiatric ward since arresting him for unknown reasons on October 23rd. Khastar’s detention caused a stir among his family members and fellow activists, eventually inspiring a social-media call for his supporters to gather outside Ibn Sina. Khastar’s spouse Sadigeh Maleki Fard, his children Jahed and Ahmad Khastar, and his fellow teachers Hadi Lotfinia and Mohammad Yazdi were among those detained. 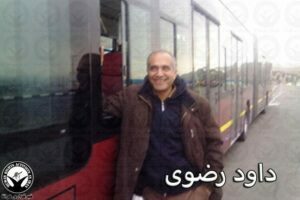 A recent arrest during silent teacher protests on June 21, 2018, landed Khastar, 65, in a Security Police detention center on Abbas Abad (formerly Vozara) street. In 2009, he was arrested in connection to widespread protests following that year’s Iranian presidential elections and was fined by Iranian courts for two letters he wrote from Vakilabad Prison. He was released, then arrested again later for refusing to pay the fine. Human Rights Activists News Agency (HRANA)- The wife, children, and colleagues of teachers’ union activist Hashem Khastar, 65, who was forcibly hospitalized on October 23, 2018, in Mashhad, were detained by agents of the Intelligence Ministry on Monday, November 5th. More than 10 of Khastar’s supporters were arrested while convening in front of Ebn-Sina hospital, where Khastar remains detained in the psychiatric ward despite having no history of mental illness. They have been transferred to the Intelligence Bureau of Mashhad. Arrestees were reportedly booked at the police station before being handed over to Ministry of Intelligence custody. Mashhad is the capital of Razavi Khorasan province, located in Iran’s northeast. Human Rights Activists News Agency (HRANA) – Labor activist Ebrahim Madadi’s prison sentence of five years and three months has been upheld in Branch 36 of Tehran Revolutionary Appeals Court. If the outcome of Madadi’s appeal has come clear, the case of his co-defendant Davoud Razavi is less so: the absence of a judge has delayed the appeals hearing that was scheduled to review his own five-year prison sentence on October 31st of this year. 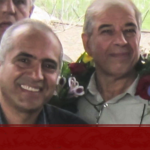 Madadi and Razavi were arrested April 28, 2014, for labor activism, detained in Evin prison, and released 22 days later on 1 billion IRR [approximately $25,000 USD] bail. Their initial trial was held in Branch 26 of Revolutionary Court. Madadi is the vice president of the Greater Tehran Bus Drivers’ Syndicate and a longtime labor activist. Saleh Nikbakht, the attorney for both men, told HRANA that authorities have historically founded their allegations against Madadi on his syndical activities– so many manifestations, she said, of their intolerance of syndicates like the Bus Drivers’ Union. Egregious in the eyes of the judiciary, the attorney said, was Madadi’s distribution of sweets at a bus terminal on International Workers’ Day (May 1st) 2014, and his 2015 lobbying at the Labor Ministry for a higher minimum wage. Madadi served a 3-year prison sentence, also connected to his labor activism, that ended April 18, 2012. Likewise, Revolutionary Court cited Razavi’s participation in the minimum-wage demonstrations as evidence of “collusion and assembly to act against national security.” The publishing of photos from these demonstrations was tantamount to anti-regime propaganda, they said; rallying fellow citizens to attend an International Labour Organization conference was endorsing “the labor opposition movement outside of Iran” (the ILO is an official UN agency). The court offered no other evidence connecting Razavi to a criminal offense. Madadi, a sexagenarian, suffers from diabetes, prostate inflammation, and high blood pressure and cholesterol. Secondary to a stroke, he has gone deaf in one ear and suffered partial hearing loss in the other. Judge Akbar Rezvani of Arak Criminal Court No. 2 Branch 106 recently issued the sentences, which will be suspended over five years. 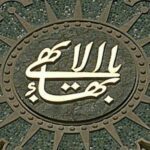 HRANA previously reported the identities of the defendants: Majid Latifi, Behrouz Hassanvand, Hamidreza Ahmadi, Amir Hooshang Poorfarzanegan, Morteza Azizi, Hadi Fazeli, Abolfazl Karimi, Farid Koodani, Majid Yahyaei, Amir Fattahpour, Yaser Gholi, Amir Farid Afshar, Mehdi Abedi, Ali Maleki, and Behrouz Velashjerdi. Some of the protestors’ prison terms were compounded by additional charges: Fazeli, Afshar, and Karimi stand threatened by a year and six months’ additional prison time; Hassanvand also faces an additional year in prison [should he re-offend within the five-year suspension period]. The collective verdict acknowledged economic hardship as a motivating factor in the strikers’ offenses, thus justifying a suspended sentence based on Articles 46 [“Suspension and Execution of Punishment”] and 38 [“Mitigating Factors”] of the Islamic Penal Code. 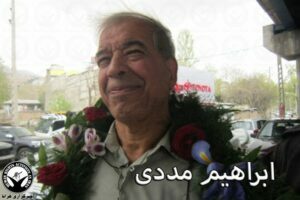 Human Rights Activists News Agency (HRANA)- Retired teacher and current teacher’s union member Hashem Khastar, who has no history of mental illness, was arrested in front of his garden on the evening of Tuesday, October 23rd and dispatched by ambulance to Mashhad’s Ibn Sina Hospital Psychiatric Ward. 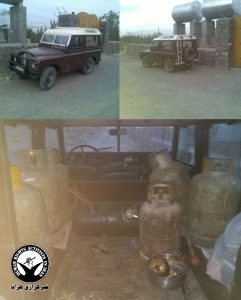 Khastar’s family were suspicious and worried, a close source said, when they came home Tuesday to find his car unlocked in front of the house. On a Wednesday phone call — his first contact with his family since the arrest — Khastar said that the Intelligence Unit of the Islamic Revolutionary Guard Corps (IRGC) had arrested and admitted him to the hospital for reasons they wouldn’t disclose. It is rumored that this puzzling detainment was ordered by the prosecutor’s office. As of the date of this report, no further information is available on the reasons behind Khastar’s arrest. 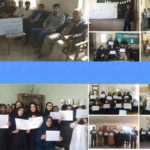 Human Rights Activists News Agency (HRANA)- The Iranian Teachers’ Organization has written a letter to Iranian President Hassan Rouhani to underline a number of the contentions that pushed teachers to strike in recent weeks. Teachers and school staff have been among the most vocal advocates of your administration, which has adopted a rhetoric of moderation and prudence. In your promise they have invested their hopes and labor, entrusting the helm of this country to you. Yet the educational system and its institutions have tumbled low on your list of priorities. Should this trend carry on, hope alone will not be viable. How long will we be able to argue with peaceful, dignified means — through democratic and civic activism — that education is critical to the balanced and comprehensive advancement of our country? How long must we emphasize that education is not second to a safe and healthy Iran, but rather its prerequisite? How long must we belabor the fact written into the Educational Outlook, that the replacement of low-quality products with top-of-the-line imports is impossible in the realm of our country’s human resources? How long are we doomed to argue patiently, host conferences, and author articles about teachers who, feeling that their very livelihoods are at stake, will no longer be able to educate our country’s children with ingenuity and sound minds? How long must we remind you of the impact that the honorable work of teachers has on our workforce and families? How long will we have to shout about the systems in advanced countries, that have wisely grounded their progress and development in education, and ensured that their teachers are held in the same esteem as government ministers, security, and diplomats? Don’t you know that many of our colleagues live under the poverty line? Don’t you know that uncurbed inflation and price hikes have afflicted teachers’ lives and significantly diminished their purchasing power? Have you any idea of the insurmountable challenge facing principals directing schools with this dwindling per capita funding? 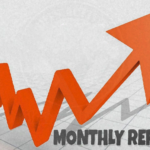 We know that the government’s revenue has increased from the rise in oil sales and currency exchange rates. We know that the government’s income has grown from taxes like the Value-added tax (VAT) that have been tacked onto the high cost of living. We know that the law allows for salary and other benefit increases under extenuating circumstances. If you are unaware of the problems and the solutions, woe are we; if you are aware but cannot, or will not do anything about them, woe to you. It appears you believe everything is as it should be: teachers articulating their predicament with patience and humility, the exemplars of civic demonstration. Yet we are certain that recent events, widespread protests, and teachers’ lowered thresholds of tolerance could spell ongoing protests and turmoil for our education system. We pray that you take this warning seriously, and in coordination with parliament and the Ministry of Education will pass the necessary orders to find radical structural solutions to the host of issues flooding our education system, in order to prevent further damage to our beloved country. 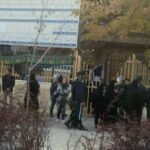 The general teachers’ strikes that took place on October 14th and 15th across many provinces in Iran were the follow-up to a call to action from teachers’ associations protesting low wages, and for the release of imprisoned teachers like Mohammad Habibi, Esmaeil Abdi, and Mahmoud Beheshti Langeroudi.